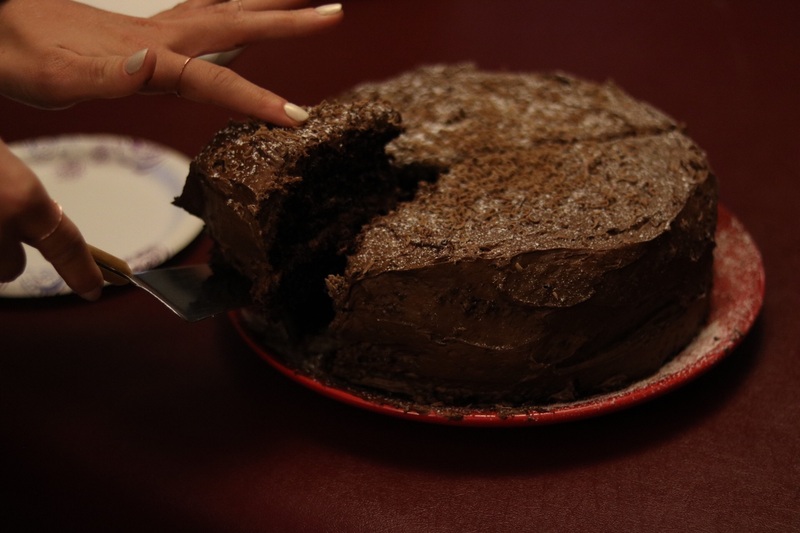 This chocolate cake recipe is a must-have for cake lovers. 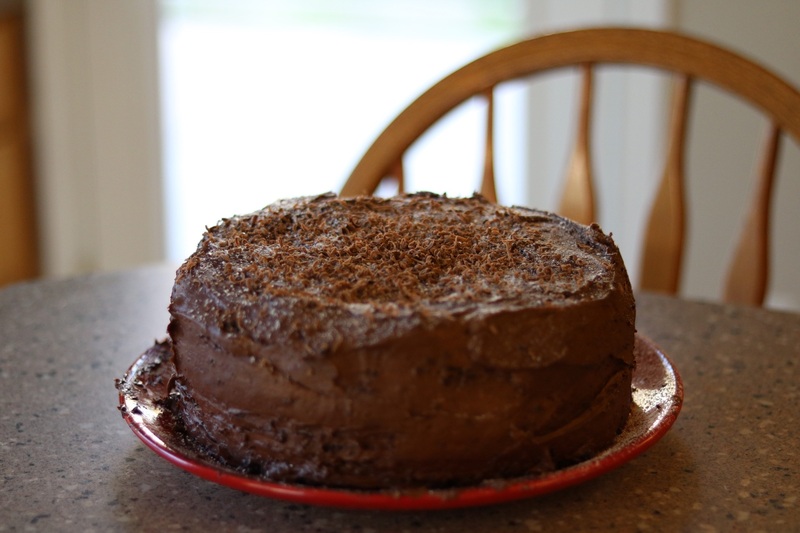 Unlike most box cakes, the cake is moist and absolutely delicious. My daughter Haley made this for me, and I was blown away at how much I loved it. 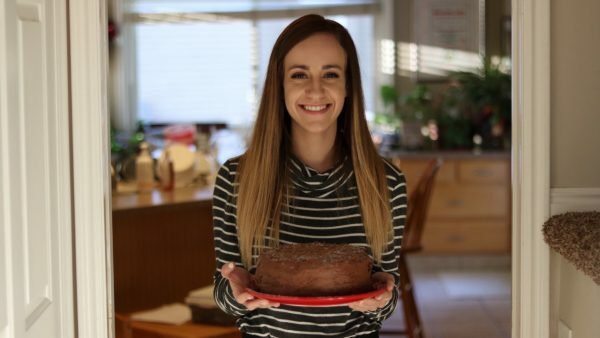 She made the cake from scratch and used store-bought frosting, but you can use your favorite frosting recipe if you like. For the cake: Preheat the oven to 350 degrees. Spray two 9-inch cake pans with nonstick cooking spray. Combine the flour, granulated sugar, cocoa powder, baking soda, baking powder, and salt in the bowl of a stand mixer and mix on low until well combined (the mixture will be one uniform color). With the machine running on low, add the milk, boiling water, vegetable oil, vanilla, and eggs. Mix on high, scraping down the sides as needed, until well combined and the mixture has air bubbles, about 1 minute. 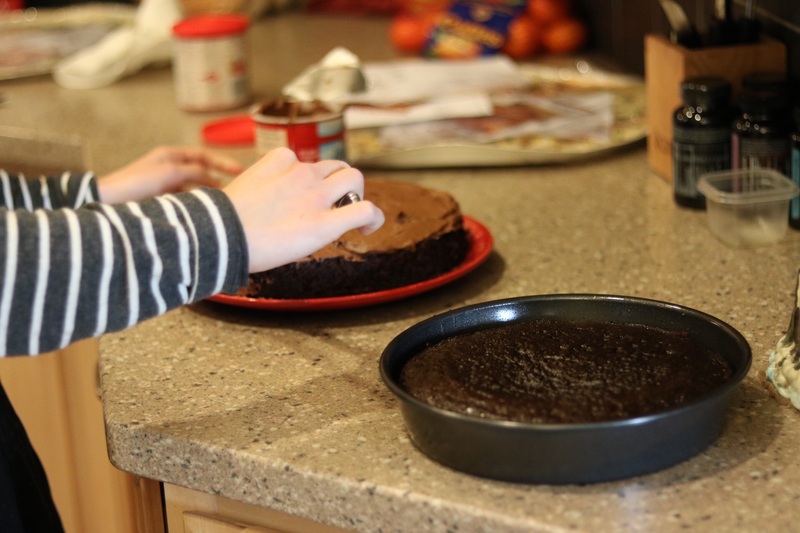 Divide the batter between the prepared cake pans and bake until a knife inserted in the center comes out clean, about 30 minutes. (We are at a higher elevation, so if you are closer to sea level, cook a little longer.) Let cool about 10 minutes in the pans. Run a thin knife around the edge of each cake, then invert the cakes onto a rack and let cool completely, 20 to 30 minutes. 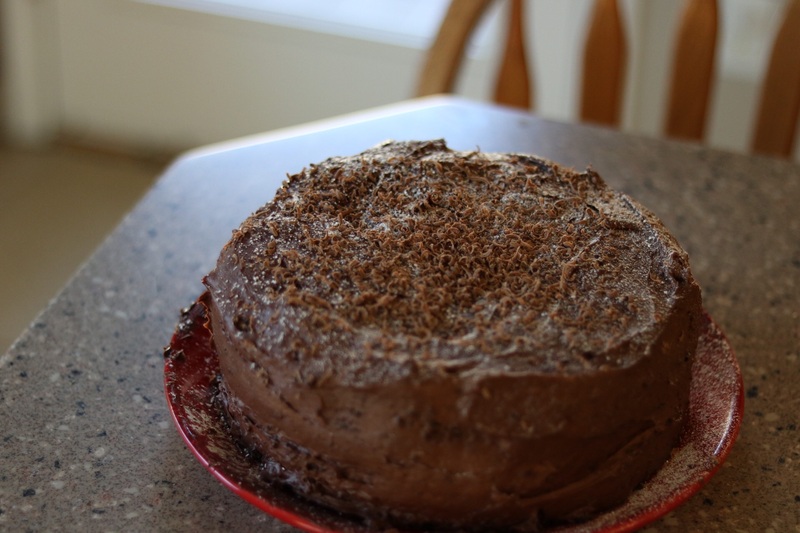 To frost the cake: Place one cake layer on a platter and spread a third of the frosting on top. Place the second cake on top of the first cake layer. Spread the remaining frosting to cover the top and sides of the cake. Serve. I’d like to save the butterflies, but I can’t even grow weeds.